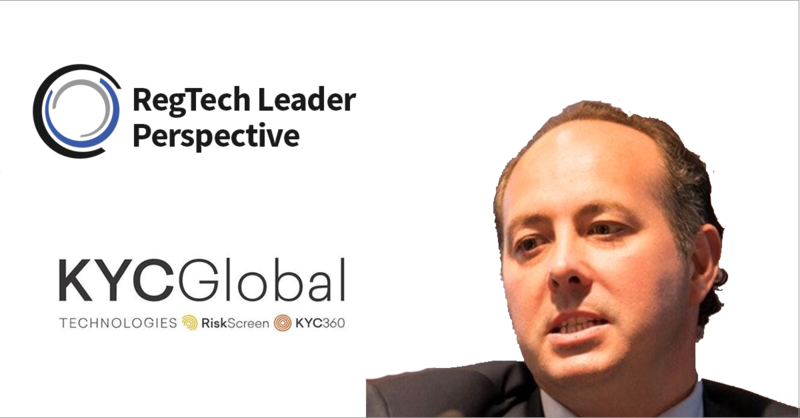 Companies need to rapidly evolve their understanding of money laundering risk to more effectively manage their vulnerabilities according to Stephen Platt, Chairman and CEO at KYC Global Technologies. In addition to being the original founder of the International Compliance Association and author of the qualifications now held by tens of thousands of AML professionals around the world, he also spent 25 years conducting large scale AML regulatory enquiries of financial institutions. Financial markets around the world are fraught with money laundering incidents, and hefty fines are always closely behind them. The most notorious money laundering case in recent history is the €200m Danske Bank scandal, in which money flowed from Russia and other ex-soviet states through an Estonian branch of the bank. While this one has received the most publicity, there have been numerous AML/CTF failures by financial institutions. In January, the HKMA fined JPMorgan Chase $1.5m for failures, while the South African Reserve Bank fined HSBC $1m for failures last year. KYC Global Technologies is an AML screening and client lifecycle risk management technology supplier which helps businesses manage financial crime risk better whilst driving improved standards of risk governance through its class leading audit capture and reporting functionality. The company offers the world’s first 3D risk-based batch screening solution enabling businesses to batch screen their entire customer base in a fully risk-based fashion. Riskscreen is now used by over 800 financial institutions across 74 countries and is increasingly regarded as the benchmark by which all other batch screening solutions are judged. Platt said “In truth winning market share has not been difficult. The legacy screening providers have rested on their laurels for too long insensitive to the huge numbers of false positives their solutions have produced and poor levels of customer service”. Riskscreen claims to reduce false positives by up to 95% compared to legacy screening tools, a claim that is backed up by users. Adopting RegTech solutions and changing the way banks perceive money laundering risk boils down to education but Platt also thinks that regulators and international standard setting bodies need to encourage new forms of thinking if we are to avoid seeing more scandals. Money laundering is a global problem, not regional. This means bodies around the world need to be making the changes, but naturally, if the US was to adopt new standards it would only be a matter of time before changes happened elsewhere. If US banks were hit with renewed AML requirements, eventually these obligations would be imposed across the global banking community because of the role of the dollar as the world’s reserve currency. Regulators look to be aware of the problem in the market, as a number have begun to make changes to their rulesets and guidelines. Earlier this month, New Zealand’s Financial Markets Authority (FMA) released its newest AML/CFT monitoring report. It indicated the key areas companies need to improve their assessments. In addition to this, it revealed it will increase reviews on independent audits, as well as the client onboarding and account monitoring processes. The US regulators have even taken to encouraging companies to look towards RegTech solutions to improve their AML/CFT burdens. Its Federal Reserve Board made a joint statement with another four US regulators, encouraging depository institutions to explore innovative tools and technology to meet compliance. One of the main issues with improving AML through technology, is its heavy reliance on customer data. For many organisations, this is locked away and unreachable. Platt believes AML challenges posed to financial institutions revolve around them simply not marshalling and utilising all their customer data to manage risks which are inherent in these relationships. Most of them have grown through acquisitions with the data held across isolated and disjointed legacy systems, making it incredibly difficult to aggregate and use to animate risk models. Disjointed data fails to give companies the ability to get a holistic view of customer relationships and the potential risks. Platt believes that, until companies readjust their money laundering models, and improve the access to data, the market will only continue to be littered with fines.